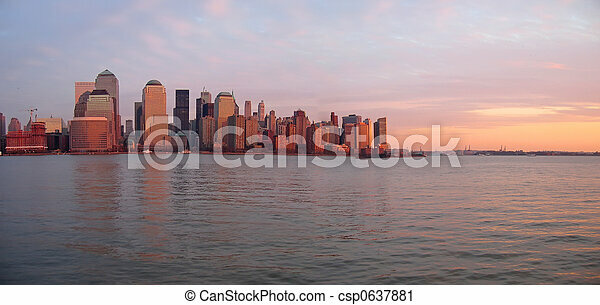 Scrape sky building shore line at the sunset from a boat, new york, panorama. Scrape sky building shore line at the sunset from a boat - new york - panorama. 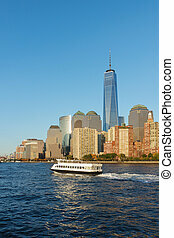 Scrape sky building shore line at the sunset from a boat - New York - Panorama. 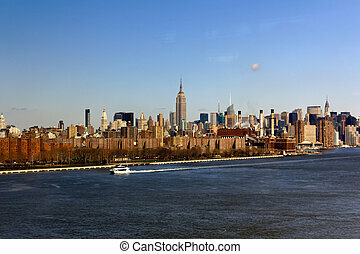 A wide-angle shot of New York City, NY, USA, across the East river, centered on midtown's Empire State Building in the distance. 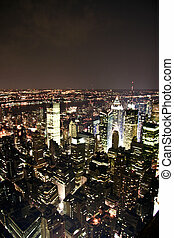 NEW YORK CITY - MAY 13: New York cityscape in the night with Empire State building at sunset on May 13, 2013 in New York. 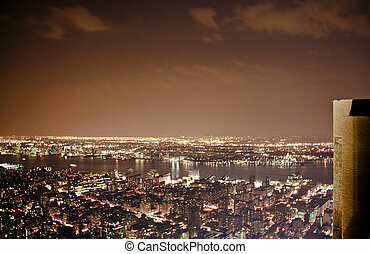 It's a 102-story skyscraper located in Midtown Manhattan and it stood as the world's tallest building for 40 years, from its completion in 1931. 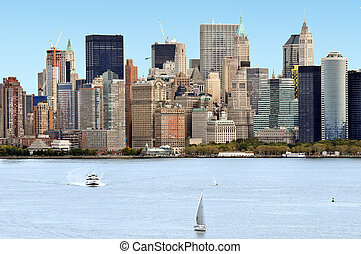 The skyline of Manhattan New York from Statue of liberty Island, USA. 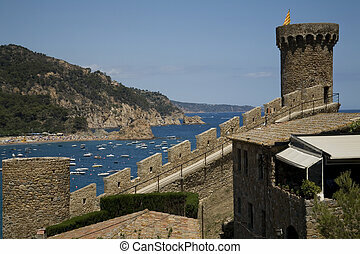 Panoramic view from a castle at Tossa del Mar, a touristical beach at the Costa Brava (Mediterranean sea, Spain). 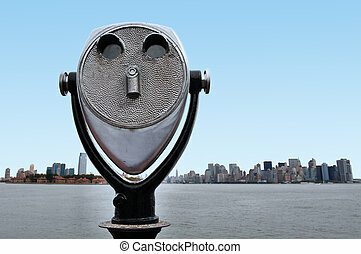 Coin-Operated Binoculars against the skyline of Manhattan New York from Statue of liberty Island, USA. 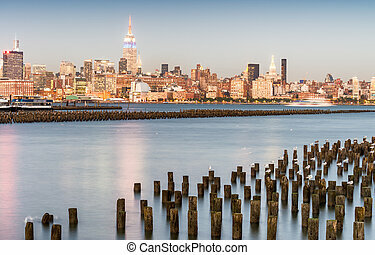 Midtown Manhattan at twilight as seen from the other side of Hudson river.